The 2006-07 Bates College Concert Series resumes at 8 p.m. Saturday, Jan. 13, as pianist Gayle Martin Henry and oboist Gerard Reuter perform transcriptions from opera in the college’s Olin Arts Center Concert Hall, 75 Russell St. Admission is $8. For more information, click here. For reservations, please call 207-786-6135. The series continues on March 3 with a trio led by jazz pianist Marcus Roberts and concludes on March 9 with Steven Lubin, fortepianist, and Thomas Meglioranza, baritone. 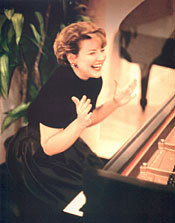 In 1978, Henry was the sole American laureate of the sixth International Tchaikovsky Piano Competition, in Moscow, and was only the third American woman ever to reach the finals. A native Texan, she first performed with the Houston Symphony at age 12, and has given orchestral and recital concerts at major venues all over North and South America. To critical acclaim, she performed works by J.S. Bach in the award-winning 1998 film “Angel Passing,” starring Hume Cronyn as a once-famous pianist stricken with Alzheimer’s disease. Henry was one of the last students of Rosina Lhevinne at The Juilliard School. At 19, she won the Tchaikovsky Concerto Competition and performed with the Juilliard Orchestra under Alfred Wallenstein. Upon graduation, she was awarded the prestigious Josef Lhevinne Prize. A faculty member at New York University, Reuter has enjoyed a distinguished international career as a chamber musician and soloist. He is a founding member of An Die Musik and the Orpheus Chamber Orchestra. 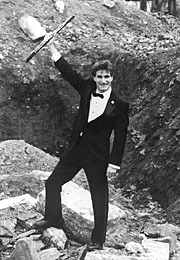 As a soloist, in New York he has appeared with the Jupiter Symphony, the Soviet Emigré Orchestra and the Philharmonia Virtuoso, and in Washington, D.C., with the National Chamber Orchestra. Widely celebrated for giving new and vital interpretations to historical jazz styles, The Marcus Roberts Trio plays at Bates at 8 p.m. Saturday, March 3. Admission is $15. Roberts, a pianist and composer who attained prominence as a member of trumpeter Wynton Marsalis’ band, has dedicated himself to the seminal music of such greats as Duke Ellington, Thelonious Monk and Jelly Roll Morton. He has also recorded concert music by Gershwin, James P. Johnson and Scott Joplin. Roberts was the first jazz player to have his first three recordings reach No. 1 on Billboard’s traditional jazz chart. Marcus has been honored with awards from the National Association of Jazz Educators and the Thelonious Monk International Jazz Competition. 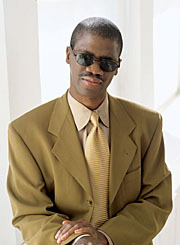 Blind since age 5, he received the Helen Keller Award for Personal Achievement in 1998. Completing the trio are drummer Jason Marsalis, a member of the highly musical Marsalis family, and bassist Roland Guerin, a versatile musician who is one of the few jazz bassists using the “slap” technique. Fortepianist Steven Lubin and baritone Thomas Meglioranza present an all-Schubert concert at 8 p.m. Friday, March 9. The program includes the “Schwanengesang” song cycle, the A-major Piano Sonata and some of Schubert’s best-loved lieder. Admission is $5. Praised for “vocal distinction and expressive warmth” (The Boston Globe), Thomas Meglioranza is one of the country’s most sought-after young singers. He is known for compelling artistry and a remarkably versatile voice equally at home with Monteverdi, Schubert, Babbitt or Gershwin. In March 2006, he was featured in a New York performance titled “Twin Spirits: The Words and Music of Robert and Clara Schumann,” starring rock star Sting and his wife Trudie Styler. 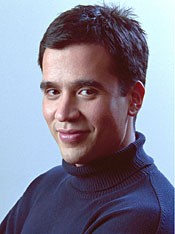 Meglioranza starred in the North American premiere of Peter Eötvös’ operatic adaptation of “Angels in America” with Opera Boston, and other recent dates include debuts with the MET Chamber Ensemble with James Levine. 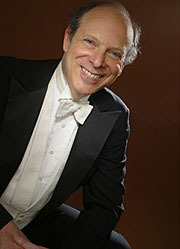 Lubin has appeared as soloist in many of the world’s great concert halls and in major international festivals. As a fortepianist, Lubin has been a dominating figure for more than two decades. In New York, starting in the late 1970s, he pioneered a series of fortepiano recitals and concerto performances of Mozart in period style, as soloist-conductor. Among his 20 CDs, his recordings of Mozart concertos for Arabesque introduced many listeners to period-style performance of this repertoire. He was chosen by Decca to record the five piano concertos of Beethoven with Christopher Hogwood and the Academy of Ancient Music, a recording cited as definitive.